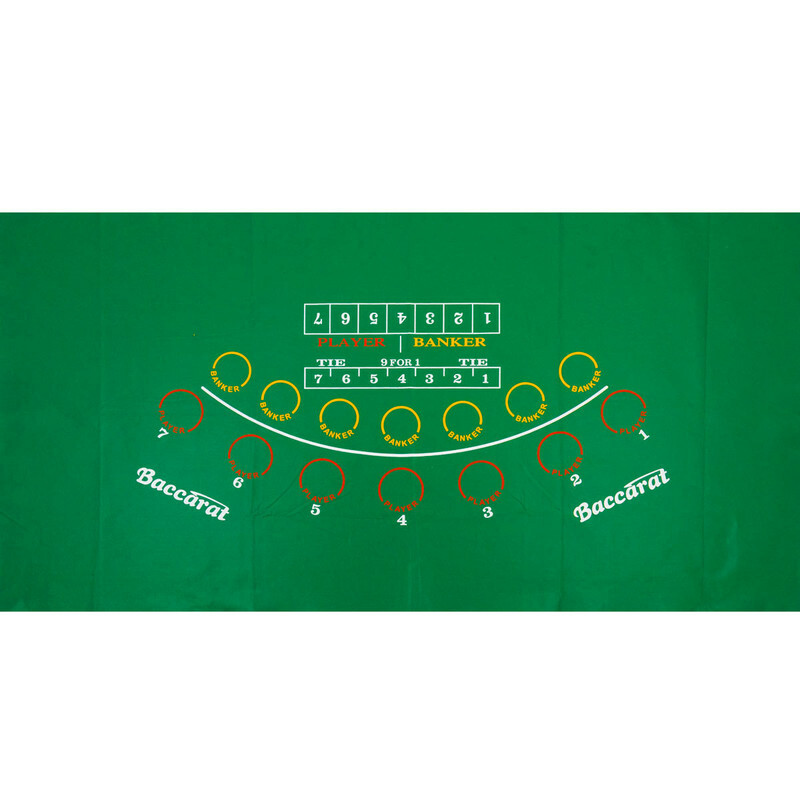 Bring the spirit of Las Vegas to your home game room by turning any table into a Baccarat Table with this casino style Baccarat Felt Layout cloth. This layout comprises high quality felt material (compressed & matted fibers) with a brightly silk-screened layout printed for durability and has the full (7) seven player layout having spaces for betting on the player or banker side or tie bet. The layout also has the boxes for the dealer to put the "vig" owed when the player wins betting as banker. This Baccarat Table cover has a smooth and consistent playing surface just like in the casinos. With this Baccarat layout cloth, recreate the winning feeling outside the casino - now all you need is a table, some chips and a banker...good luck! 72" x 36" x 1"